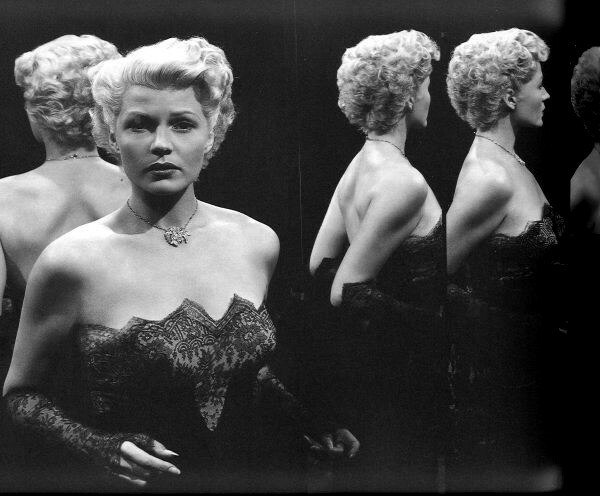 Watched Lady From Shanghai again yesterday. Damn that’s a great flick. And Rita Hayworth in that short blonde hair, good lord she was hot. Gorgeous. Gorgeously hot. A goddess, but one of those South Indian goddesses carved into the rock walls of a temple in the Deccan traps full of Vishnu and war and elephants and preening gods with tremendous manhoods and goddesses who lie about naked in the sun, condemning whole cities to oblivion. One of those kinds of goddesses. The gnarly ones. This entry was posted in Movies and television and tagged Lady From Shangai, Rita Hayworth. Bookmark the permalink.